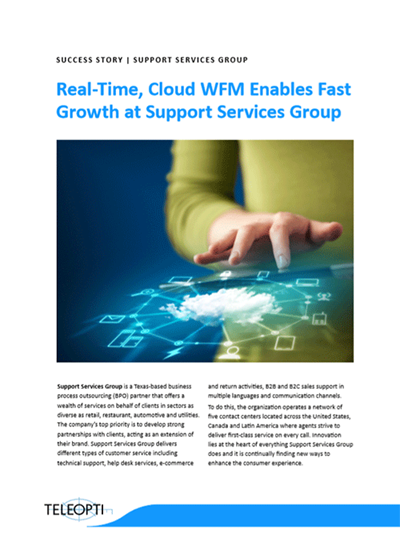 With the implementation of Teleopti WFM, Support Services Group has tangibly increased productivity by 5%. The BPO organization has also managed to minimize the number of hours required to support different customer programs and meet client service levels while reducing agent idle time and over staffing. Read the success story to learn why Support Services Group turned to Teleopti to accommodate its large, complex contact center operation and support future business expansion.